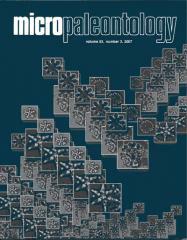 A simple and time efficient technique to illustrate specimens is described and demonstrated with Paleogene radiolarians. This method produces Scanning Electron Microscope (SEM) and composite focal depth Transmitted Light Microscope (TLM) images for single radiolarian specimens. We propose the use of this technique to clarify radiolarian taxonomy. This technique has distinct advantages over previously published time consuming techniques that can also require toxic materials.